So I’m trying something new today: music analysis. This is totally new territory for me, as my musical knowledge literally borders on absolutely nothing. If it isn’t an anime theme or from one of the Transformers albums, I probably don’t know it. And if you think that’s an exaggeration, you’d be wrong. Jen gave me approximately 130 Sting songs, which I am slowly working my way through. Thus far I’m having a really hard time deriving meaning from most of the songs besides what’s obvious from the surface. (And that’s not me trying to say there’s nothing deeper there–I’m a novice at this, remember.) I wasn’t really sure I’d connect with any of the songs, but one finally resonated with my soul. 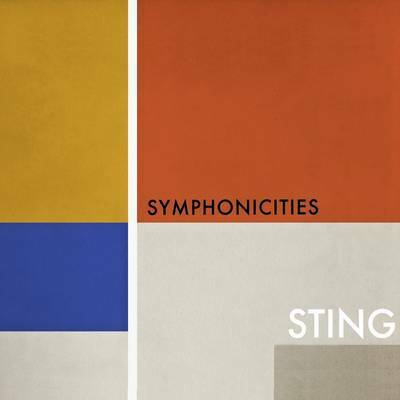 The one true gem I’ve come across thus far is “The End of the Game” from the “Symphonicities” album, which I first heard at the Sting concert I took Jen to back in July. What else did we know? Summary: A pair of foxes (lovers) are being hunted throughout their lives by hunters and dogs, and spend their lives together surviving by escaping on a day-to-day basis. Though they know the inevitability of eventual death, they continue to run and persevere until they are finally caught and killed, reaching “the end of the game”. Analysis: After spending some time with this piece, I think it’s certainly the most compelling of the couple dozen Sting songs I’ve gone through thus far. As advertised, it is a song about death, but it’s written in such a touching, poignant way that it’s actually inspirational, not tragic. I love that the foxes are aware that they must–and will–lose “the game” one day, but refuse to yield over and over again in spite of the certainty of eventual death. Even with a fatalistic perspective that fate cannot be circumvented, the foxes refuse to give up until they have lost totally. And even when death comes, the foxes still aren’t broken and somber–they’re satisfied having lived a full life and having done their best. They accept their fate and their deaths, having lived fulfilled lives. That seems like a pretty good way to live (and die). This entry was posted in Music Analysis and tagged Death, Foxes, Lyrics, Music, Musical analysis, Song Lyrics, Song Meaning, Sting, Symphonicities, The End of the Game. Bookmark the permalink. Ah conditioning, is there anything you can’t do? I’m still learning from you, while I’m making my way to the top as well. I absolutely liked reading everything that is posted on your blog.Keep the posts coming. I enjoyed it! 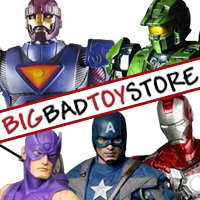 I want to express my thanks to the creator of this website. Keep adding a good methods and strategies. Many people will surely improve their abilities by reading blogs like this. Every song that Sting writes/sings has a deep meaning hidden in some metaphor. That is one of the prime reasons why his songs and lyrics are evergreen. I heard him for the first time in 2000 (Desert Rose and Brand New Day) and then I scoured the internet for his discography (India, specially my city, does not offer all of his albums on the shelf in the music stores). After listening his songs (almost all) over and over again for 11 years, every single time I play some of his song, I find a totally new meaning which keeps me going back to the song over and over again! Finally! A solid answer that I choose to subscribe to as to the meaning of “The End of the Game.” I’ve loved this song for a long time but now I know why. Death isn’t the end my friends. If you read the lyrics a little more closely, and you are familiar with Sting’s other repertoire, you will see that Sing has an eternal perspective of life after a mortal death. I know what The Police and Sting’s lyrics mean to me personally but there are so many ways a person can interpret a song. Well done — my dear wife passed away, and for a slide show used at a memorial this song was the fitting soundtrack.